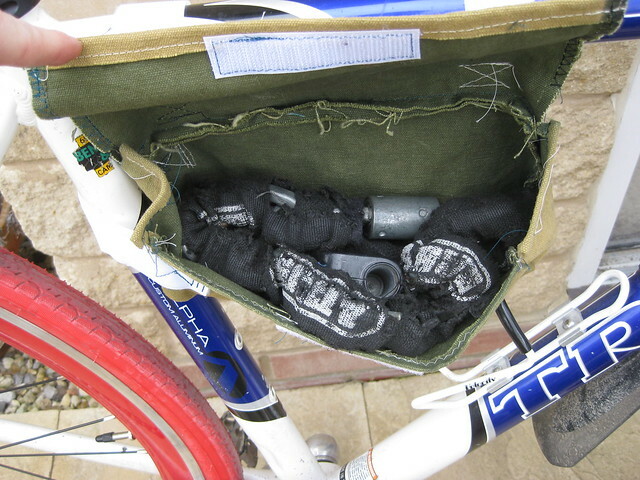 Bike lock bag | Flickr - Photo Sharing! Needed a way to carry my lock. This is canvas that used to be part of an army surplus duffle bag. Ugly, but hopefully effective.